Maybe the most important part of each place's presence, the menu and what's within it make the people come back time after time wanting more. 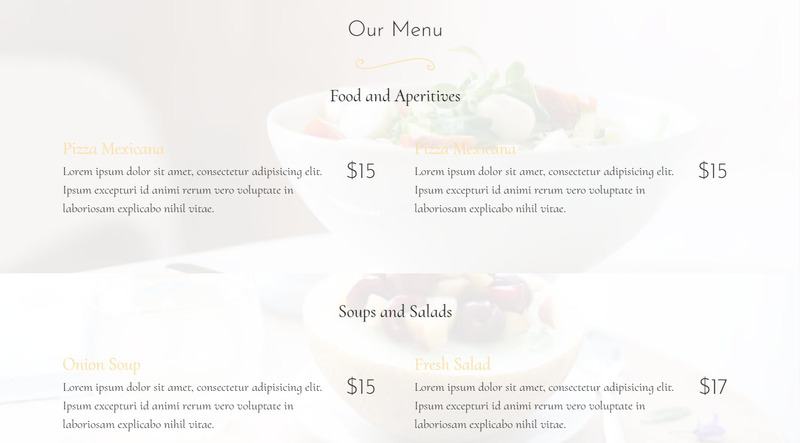 That's why the Restaurant HTML Template has a whole section dedicated to the essence of the place – the food it serves. 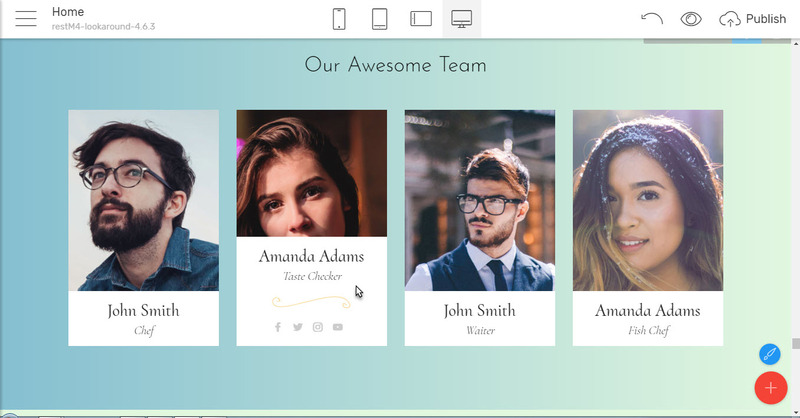 And probably the best thing about all this – it happens so easily and naturally – pretty much if you were typing the menu on your favorite text editing tool – without the time and nerves consuming process of figuring out what's doing what. 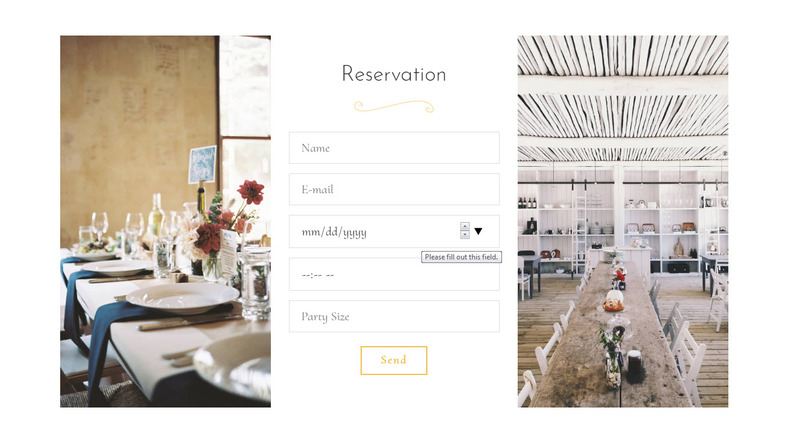 Extra tip: In order to structure your menu with the first menu block – use a few of them, placing the desired image as a background of each block, freely playing around with the title and subtitle options available to obtain better standing up. 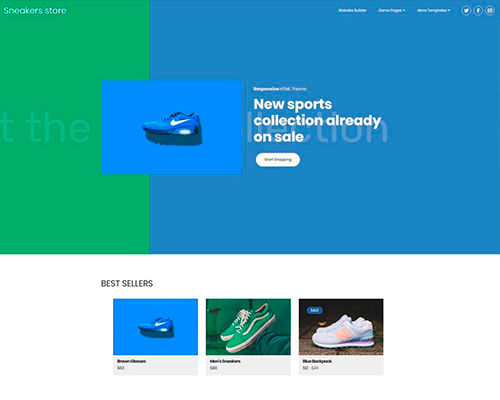 You can easily have a solid color background for some parts if you like to – just adjust select the one you need from the Properties panel and you're done. And of course – everything is capable of spicing up to your taste in order to fit the best suiting your taste presentation. 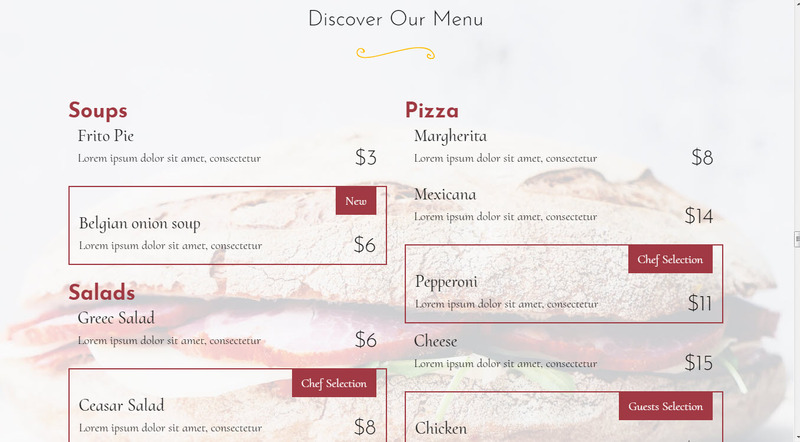 Another advantage of this online menu element is you can always keep your menu updated without large investments of both money and time for design and printing. 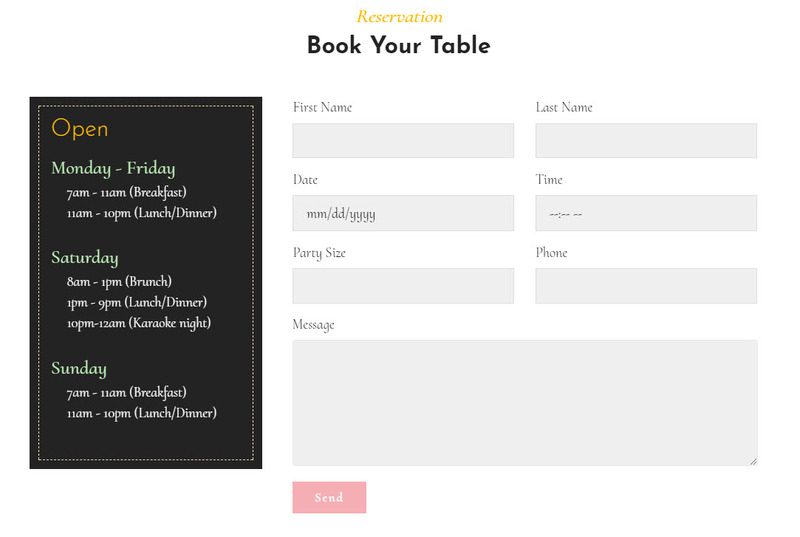 By putting just a few minutes at the end of the day you can have your unique menu ready for tomorrow. 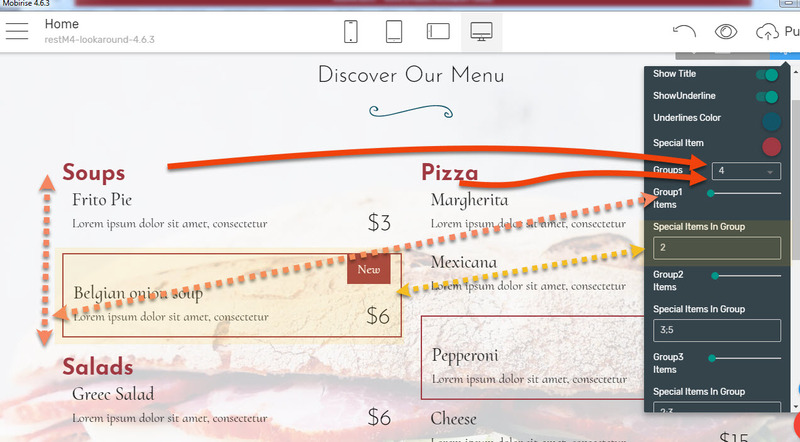 Which is pretty amazing – making one step further past the traditional list-like way people have got used to see the menus on the tables you can easily make different types of meals share the same screen so the choice is even easier. 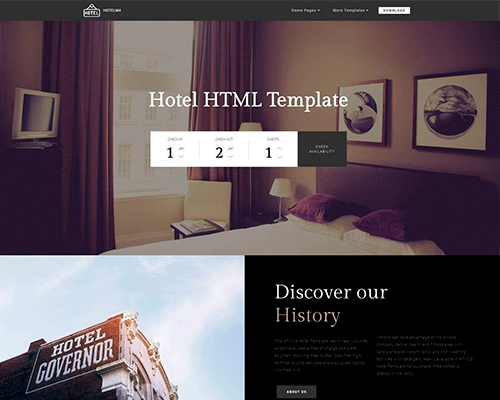 That way it gets a bit more interesting and interactive since the visitors have to select the proper section on their own clicking on the links on top actually interacting with the site just like they would be browsing through the sheets of an actual multipage menu on the table. 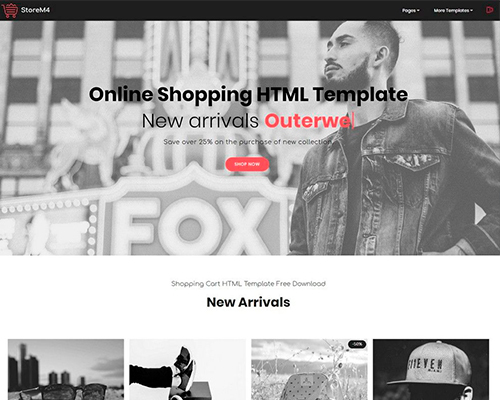 Additionally – placing more items on the same screen spares scrolling around so it's not only more comfortable but also makes the page tidier and good looking. 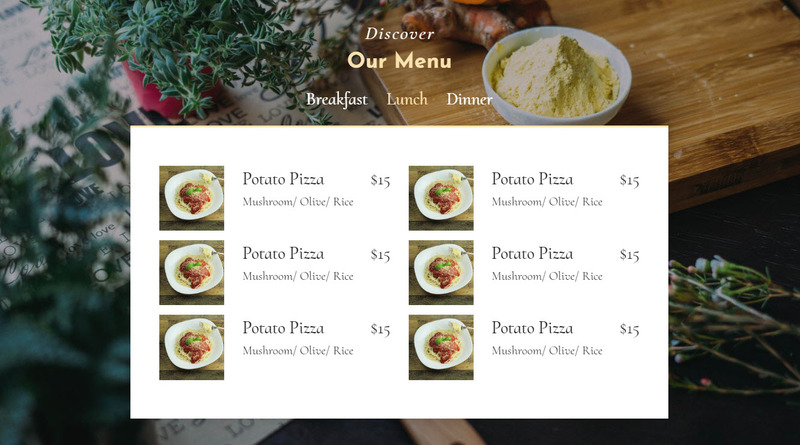 And to make it even better – this menu block comes with an image for every dish so it's even easier for you to impress and for the clients – to pick up. 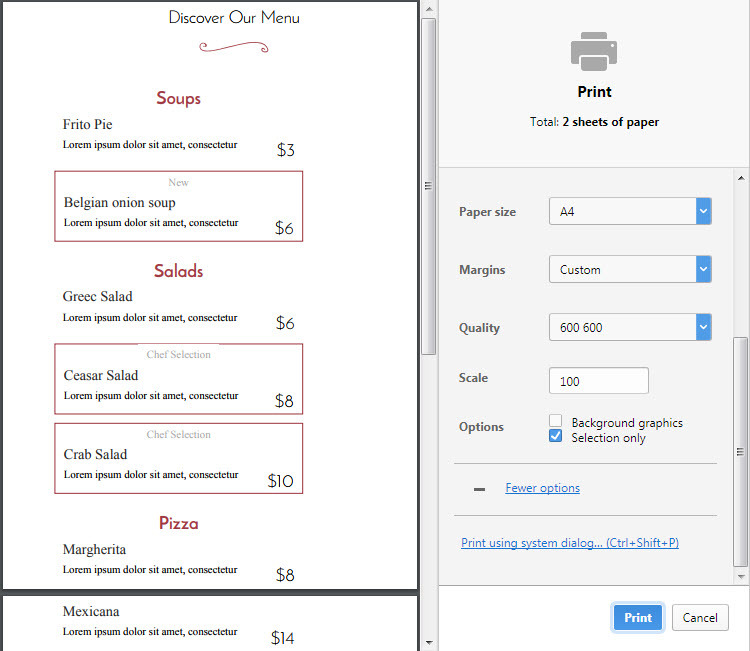 And make your life even easier since once you have figured out and carefully created the way menu would be looking like for tomorrow on the site – what could possibly stop you printing a few copies of the Menu Page of your site and spreading them over the actual tables? You have easily designed it yourself already! 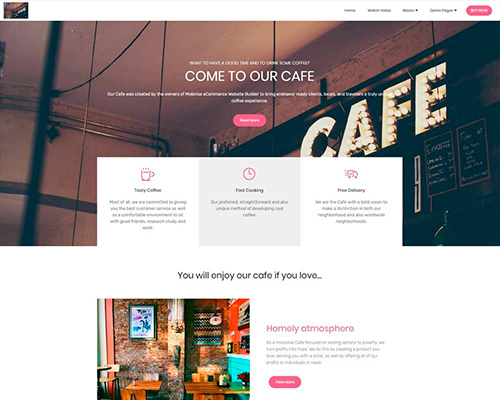 This way you not only get a great presence of your place on the web but also achieve consistent appearance and pretty looking updated menus both – on site and on the table. And it's so easy! And since the Google map's colors might not always fit the ones you might have selected there is also a cool grayscale filter as well making the map blend nicely practically anywhere. Now if you're situated in the City that would be quite enough, but how about if there isn't a specific street/number address associated with your location? 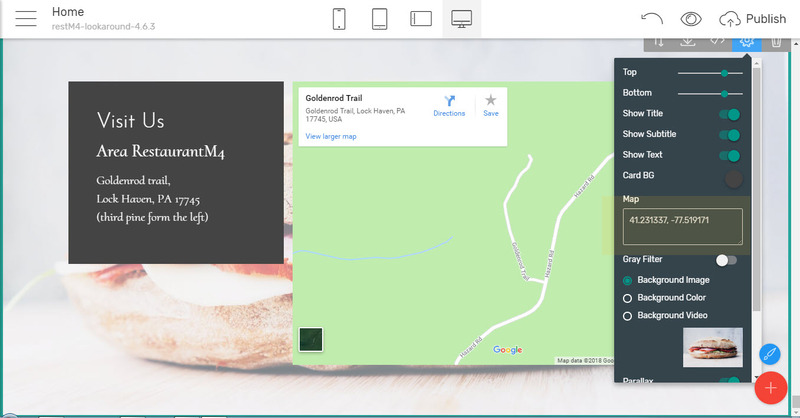 It's really easy – just past your place's coordinates instead and the map will flawlessly find it! And of course – don't forget placing the names and faces behind these words so it's clearly seen these are real people and not just cozy words you thought on your own. 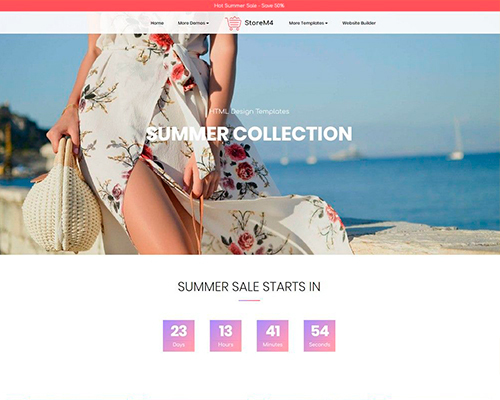 This final drop might be the one making your site's visitors entirely confident that your place is to be the very next to visit. You can add a short description over each image in the gallery and also have it tagged by one or a few tags so the people could easily sort the gallery checking out only what grabs their interest. Extra tip - Make sure you write the tags exactly the same way for each image. A tag name can have spaces but if you want to separate two tags – use just a comma (,) and no spaces around. 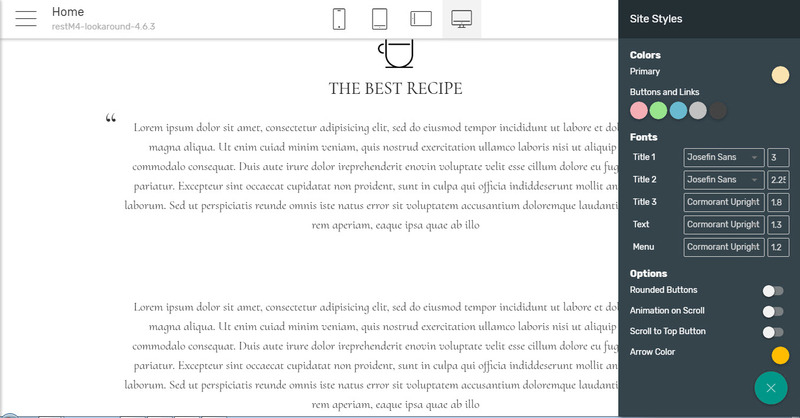 So now nothing stops you from revealing the secret of your great recipes on the web. 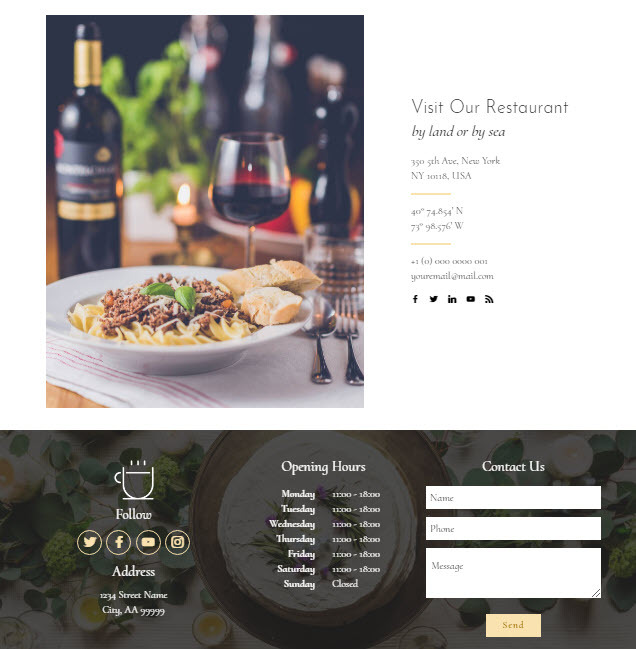 Now there is how lightly, with a smile and inspiration you can easily cook the website for the great restaurant you're running on your own with Restaurant Responsive Theme and Mobirise Mobile Web Builder. Just follow your heart and the concept you have already created in real life and it will be a guaranteed masterpiece at the bottom line. 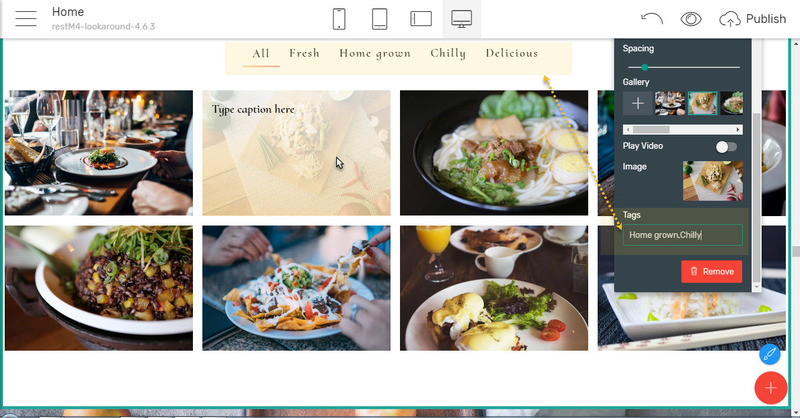 You can’t do it in cooking but guess what – with Mobirise Builder created websites you actually can alter significantly the spicing of the site once you have already placed all the blocks and poured all the content in. 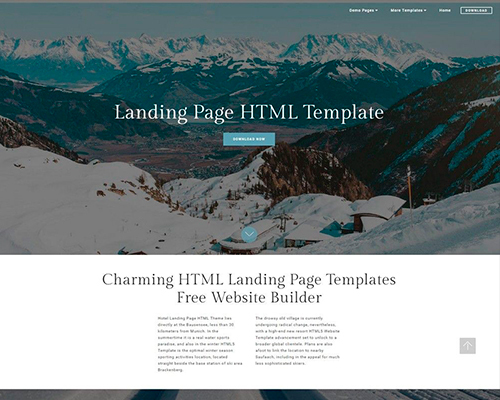 Actually – you can do this at any time you like with the ingeniously thought Site Styles panel which allows you changing the entire website color scheme, the fonts used for the different types of text in the site all at once by just a few simple clicks. You can always experiment different appearances from there, changing colors and switching any font used with any other from the Google Fonts library without even leaving the Styles Panel at all. 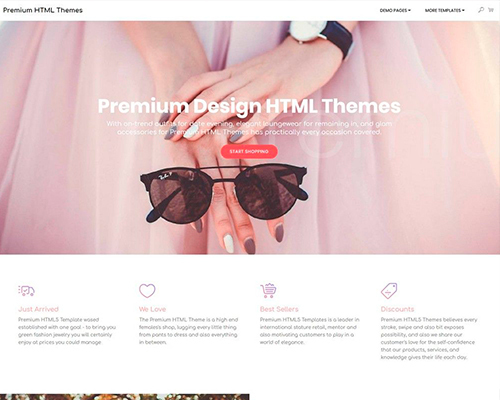 Actually – in case the initially set color scheme isn't exactly yours, it might be a good idea starting your quest from the Styles panel and ending it there again to for eventual fine tuning after working on the site for a while has shown you if there is something to make even better or not. Extra tip - To make the choice of fonts even easier – experiment with some different fonts on the Google Fonts website, then when you have settled for a few – just use the fonts search box in Mobirise Buider to easily locate and add them to your site. 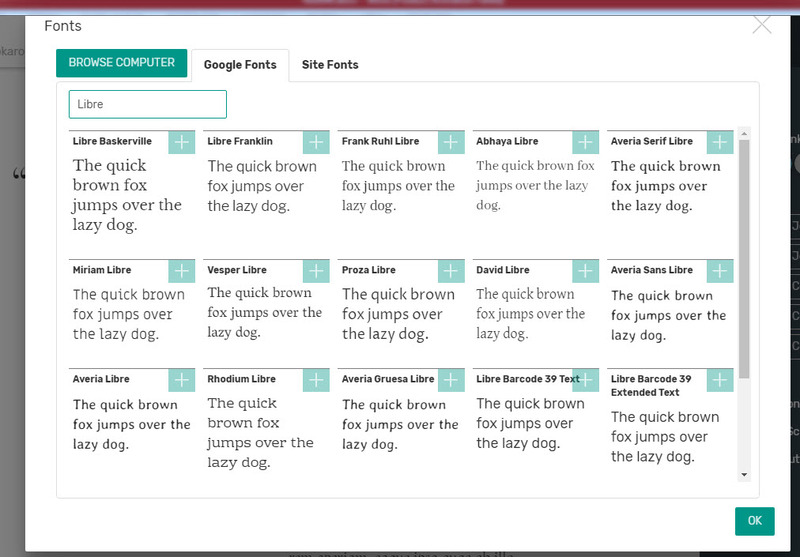 You even can add some fonts form your computer if you like to or use the Styles Panel to turn on some extra features like animating the content entrance on screen or either to have a scroll to top button or not and what color, so take some time to play around with it – might be the final touch of your site's presentation hiding in these switches. 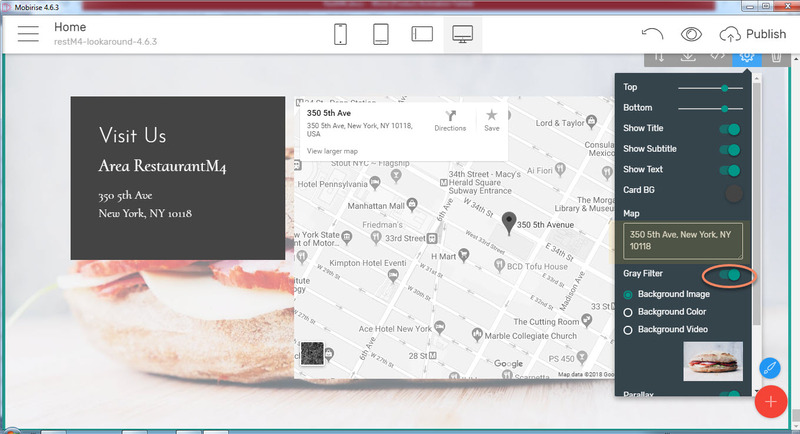 Since at the end of our quest through the Restaurant HTML Template for the Mobirise Mobile Web Builder it became quite certain that using this great pair any Chef, restaurant owner or just a regular food lover can easily cook a restaurant website and not just any kind but amazingly beautiful one, created with the cutting edge technology in web design and displaying beautifully on any device. 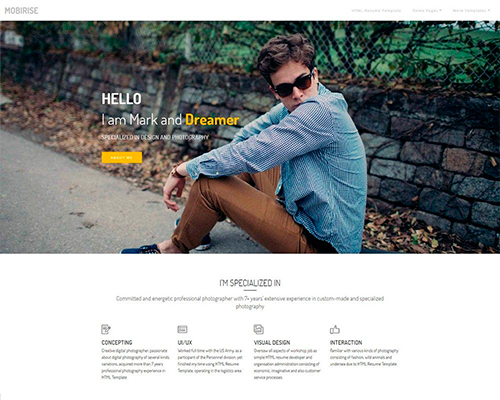 All you need is a computer, a decent camera or phone, your great concept and a pinch of inspiration. 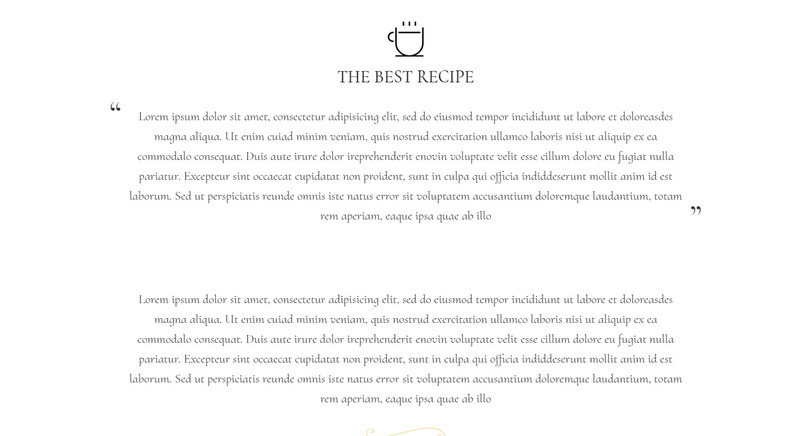 And don't be afraid to experiment, guys – in web design as in cooking one should always follow the heart. 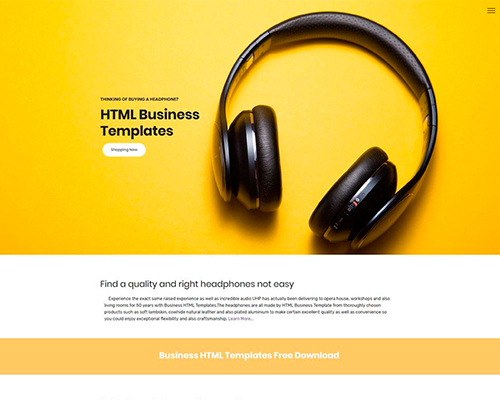 Stunning 54 Free HTML CSS Templates List for 2019, You Can't Ignore!